As regular visitors here know, my special project for 2013 was to reread works from 12 Canadian authors who had influenced me in my youth (a project that will extend into 2014 with two reviews yet to come). That produced an even more “Canadian” slant than usual to my reading this year — reflected in the fact that five of these 10 are the work of Canadian authors. Autumn Laing, by Alex Miller. 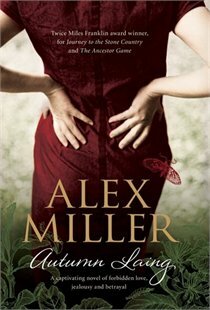 Autumn Laing is Australian Alex Miller’s tenth novel (he has just released his eleventh) but it was my first — I was impressed enough with it that I have decided to read the preceding nine in order (a review of his first, Watching the Climbers on the Mountain, was posted just a few weeks back). This one is a memory novel — Autumn Laing is 85 when we meet her but a recent chance encounter has put her in mind of a grievous harm she did another woman 53 years back. She “stole” that woman’s man and it eventually led to a comfortable life with a wealthy husband where they turned their home into an Austalian version of a Bloomsbury-like retreat for creative types. The encounter has provoked major memories of regret — the novel that results is not just a portrayal of the artistic way of life, it captures a picture of post-colonial Australia trying to find its own non-British character. Mrs. Bridge, by Evan Connell. 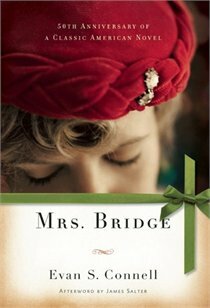 Mrs. Bridge is one of those novels that has been around for more than half a century but is experiencing a bit of a revival — and virtually every blogger who reads it ends up adding it to their annual top 10 list (I have John Self’s review at the Asylum to thank for sparking my interest). India Bridge is one of those passive female characters of mid-west America in the 1930s (a precursor of Morag Gunn in Margaret Laurence’s The Diviners, also on this list) who starts a lot of “projects” and finishes none. Risk averse as she might be, Mrs. Bridge’s comfortable, country club life starts to run into crisis after crisis, none of which she handles well — but in the final analysis Connell creates a character who inspires both sympathy and love, a tribute to a writer’s job exceedingly well done. The Dinner, by Herman Koch. The Dinner, translated from the Dutch, is on a lot of North American 2013 best lists and for good reason. 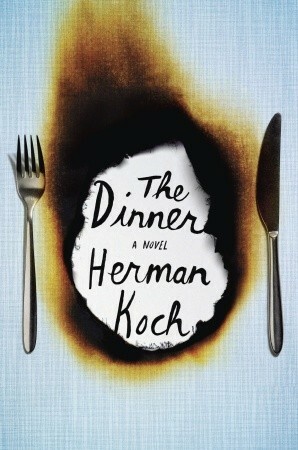 The first half of Koch’s novel is laugh-out-loud funny as two Dutch couples (the two men are brothers who don’t much like each other) experience the pretentiousness of an “in” restaurant. Behind that satiric humor, however, the author is setting the stage for the latter half of his story — all of these four are developed as very dislikable people and, as dinner proceeds, they descend into a no-win conflict over a criminal incident involving their two sons. There are no winners in this novel — except for the reader. 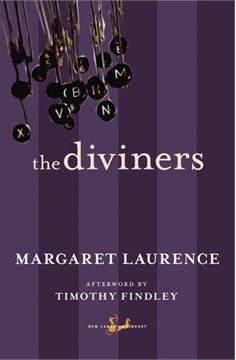 The Diviners, by Margaret Laurence. The last of Margaret Laurence’s “Manawaka” novels, this is another “writer’s” novel — Morag Gunn is a successful author approaching her fiftieth birthday looking back at just how she got to where she is. That story starts in Manawaka and moves on to Toronto and Vancouver, before ending up at the Ontario riverside where she now lives. Published in 1974, The Diviners is not just the story of mid-twentieth century Canada it is a study of the challenges that faced creative women during the post-war years in North America — a true classic, well worth revisiting. 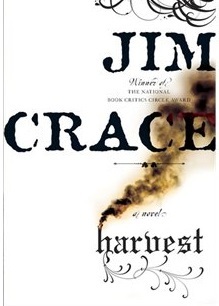 Harvest, by Jim Crace. My personal choice (but not the jury’s) as this years Booker Prize winner, this morality tale set in a feudal English settlement of 58 weary souls contains allegories galore. The community is under threat from two sources: the new master (a distant relative of the one the community has become used to) wants to turn the area into a sheep farm which will have work for far fewer people while at the same time the arrival on its outskirts by three strangers claiming land has provoked a different set of concerns. Without giving too much away, the final third of the novel is a study in isolation and loneliness — the allegory of the loneliness that comes with being a writer was the one that struck me most strongly as Crace had announced before publication that this would be his last work. 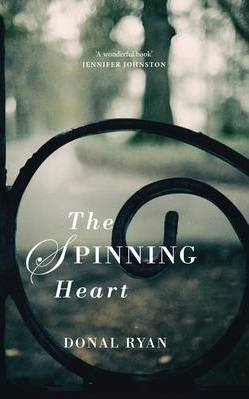 The Spinning Heart, by Donal Ryan. This little gem of a novel is one of those rare ones that has become progressively more memorable in the months since I read it. In a slim 156 pages, Ryan uses 21 chapters, each sketching the story of an individual in an Irish village — one dramatically effected by a corrupt contractor who has built one of the country’s “ghost estates” on the outskirts of town. While there are both heroes and villains in the group, what emerges more than anything else is a mosaic-like picture of a community of very ordinary people struggling to find its place in the twenty-first century. Word is that Ryan has a second book coming out in 2014 (apparently written at the same time he was penning this debut) — I can’t wait for its appearance. 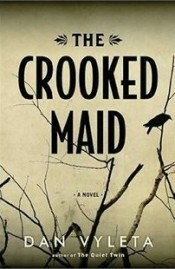 The Crooked Maid, by Dan Valeta. In his Acknowledgements at the end of The Crooked Maid Dan Valeta says “I wanted to write a world, not a book” — and for this reader he succeeded in doing just that. That world is post-war Vienna, struggling to escape the corrupt moral code of Nazism, but still searching for just what the new peacetime version might be. The novel opens by introducing characters who are coming to post-war Vienna because of (perhaps) a missing husband, a suspicious death (perhaps murder) and the crooked maid of the title (we aren’t sure just what her “perhaps” history is). Valeta successfully sustains all those story lines but his greater interest is in the “world” of a famous city that is in the midst of a change that none of its residents quite yet understand. 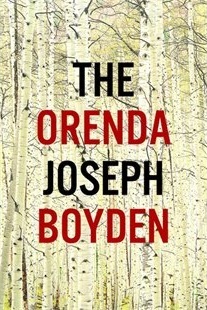 The Orenda, by Joseph Boyden. If I was forced to pick a single “best book of 2013” instead of 10, this would be the one — when the Real Giller jury left it off the short list, our Shadow Giller panel called in The Orenda and it was our unanimous choice as the winner. Boyden’s novel comes with three voices: A Huron elder, a young Iroquois girl he has taken as hostage to be a replacement for his daughter killed in a previous battle and a Jesuit priest who is the forerunner of the European invasion that is to come. The conflicts between First Nations tribes are described in painful, gruesome detail — the developing and even more damaging conflict between the aboriginal people and European invaders looms as a picture of the future. It is not the easiest novel to read, but it is a truly brilliant one. 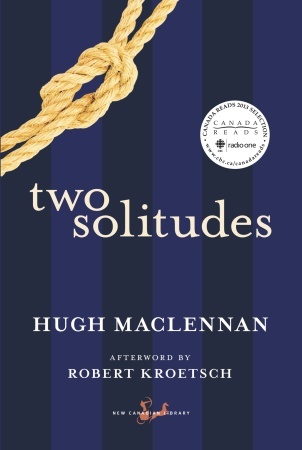 Two Solitudes, by Hugh MacLennan. The political conflict between English and French visions of Canada has been a constant presence in my adult life — in this novel written in 1945, Hugh MacLennan supplies a picture of that conflict that is relevant to this day. The character we first meet, Athanese Tallard, is a virtual seigneur in a small village east of Montreal — he is also an MP in Ottawa who has an understanding that the two cultures need to be bridged. 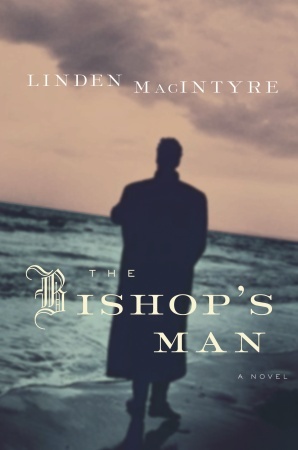 A retired Nova Scotia seafarer, a priest determined to protect his power, financial heavyweights from the Montreal English community and the next generation (who already are experiencing the conflict) all play a part in this wide-ranging novel that well deserves its fame. 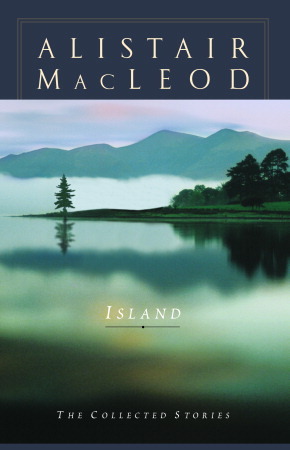 Island: The Collected Stories, by Alistair MacLeod. For this reader, Alistair MacLeod rivals Nobel Prize winner Alice Munro in his ability to show what just how good a short story can be. Island includes all 16 of his published stories — he brings Canada’s Cape Breton Island to concrete life (both the highs and lows) and painstakingly creates characters who are fully realized in every story. The book is a special treat that deserves to be spaced out and carefully savoured in the reading. As for 2014, those of us who follow prizes have two developments to look forward to already. The Folio Prize will announce its first shortlist in February from a longlist of 80 (60 English-language novels chosen from favorites submitted by the Folio panel of more than 100 authors and critics from around the world, 20 more called in by the five-person international jury). I’ll decide whether to try to read and review the whole shortlist once it is announced. And the Booker Prize is now “the old Booker” in name only, no longer restricted to authors with Commonwealth citizenship but open to any novel published in English in the United Kingdom. I’ve always tried to review as many Booker longlist titles as possible — we shall see in July when the longlist is announced whether that is still a viable goal. As the year draws to a close and without any further ado, here are 10 books that both impressed and entertained me in 2012. Click on each title to go to the original, extended review. The Memory Chalet, by Tony Judt. I don’t read a lot of non-fiction but historian Tony Judt has been a favorite for many years — like many, I was heartbroken when it was revealed he was suffering from ALS and its inevitable result. The Memory Chalet consists of 26 essays (most published originally in the New York Review of Books) that he produced between the diagnosis and his death. The first three dispassionately discuss the progress of the disease (the body slowly stops to function; if anything, the mind becomes more active) and Judt’s response: building a “memory chalet” of what is going on in his mind (visions from a life lived) as his body shuts down. The essays are grouped in three parts: memories of growing up in London, his student days in both England and the continent and experiences from his later years when he was based in the United States. Judt was born in 1948 (as was I); this collection reads very much like a “novel” of what it was like to grow-up, mature and intellectually prosper in the post-World War II western world. I returned for a second read of the book as soon as I finished it the first time — I know I will be returning to it again in the future. The Street Sweeper, by Elliot Perlman. On one level, The Street Sweeper is the story of a black American who gets sent to prison following a teenage escapade and ends up sweeping the streets of New York after his release as he fights to recover a normal life. On another, it is the story of a struggling history professor, the son of a legendary figure from the civil rights era. And on yet another, it is an account of what happened in Holocaust concentration camps — told in horrific detail. Perlman is an Australian so he brings an observor’s eye to these three streams and succeeds in weaving them together in a wide-ranging novel that is as compelling to read as it is thought-provoking. Perlman is a new discovery for me (I read the very good Seven Types of Ambiguity earlier in 2012) — I very much look forward to exploring his back catalogue. Capital, by John Lanchester. The professional critics did not rate this book highly so take its inclusion on this list as an indication that I think they overlooked a very good book. Capital is a “London” novel, set in 2007 and focused on Pepys Street in South London, a block of nineteenth century dwellings originally built for trades people but now gentrified in the extreme. Lanchester covered the 2008 financial crisis for the London Review of Books (and produced a non-fiction volume from that experience) — this is his fictional version of what life was like leading to the crisis. 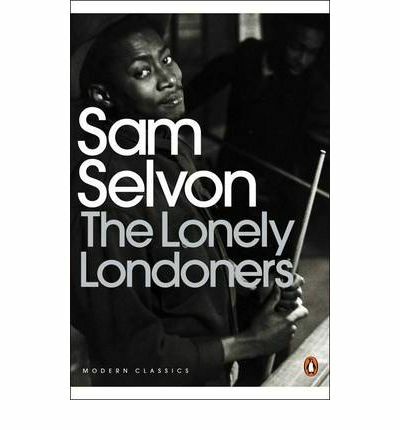 I love London and its characters and this novel features versions of many of them — a City banker who can’t survive without a six-figure bonus, the last resident who was actually born on the street and an illegal immigrant working as a traffic warden whose beat includes Pepys Street are just a few of the extensive cast. The novel is not a masterpiece by any means, but it is an engaging portrait of what might still be the world’s most interesting city. Skios, by Michael Frayn. Frayn is not just an outstanding novelist, he is perhaps even better known as a playwright (“Noises Off”, “Copenhagen” and “Democracy” were all box-office hits). In both novels and plays, some are very serious, some pure fun — Skios is a perfect illustration of the latter (think a novel-version of “Noises Off” if you know his dramatic work). Skios is a Greek island that annually features a Literary Grand House Party for the rich, powerful and famous (who are expected to contribute handsomely to the Foundation that funds it). The slapstick plot is set in a motion when a cad who is arriving on the island for a dirty week with a woman he had met briefly just a few weeks before mistakenly picks up the luggage of this year’s distinguished lecturer and decides to have some fun by adopting his identity. Skios is a richly entertaining farce — as much as I enjoyed the book, I was as surprised as anyone when it made the Booker longlist since it is the antithesis of the “typical” Booker book. A Book of Great Worth, by Dave Margoshes. I read a number of excelllent short story collections in 2012, but this volume stood above the rest. It features 13 literary “pieces” — while the author calls them stories he acknowledges they are also an homage to the memories he holds of his father, a lefty journalist in 20th century New York City. Margoshes not only brings his father to life, he does the same to a memory of the America of the times, ranging from working as a farmhand in the Catskills to starting journalism on a Jewish Cleveland newspaper to covering the Hindenberg disaster. The author’s mother told him as a child to “listen to your father” — this collection is an excellent example of what happens when a talented writer heeds that advice. The Deadman’s Pedal, by Alan Warner. This would have been KfC’s personal choice for the 2012 Booker Prize — the real jury did not even include it on the longlist. The story focuses on an isolated, coastal Scottish community and the struggles faced by those who live there (an Irish version of this theme can be found in a John McGahern novel further down this list). The community is still tied to “metropolitan” Scotland by a railway spur line that supplies the novel’s title (the deadman’s pedal is a safety device in train engines that cuts power if the engineer releases it, e.g. by suddenly dying). The characters are both interesting and complete; Warner succeeds in placing the reader at the centre of both the community and their very ordinary daily lives — until a dramatic catastrophe brings the novel to a close. Lionel Asbo, by Martin Amis. This is the second “London” novel to make this list in a year that featured a number of them (I have yet to read Zadie Smith’s NW and Keith Ridgwater’s Hawthorne and Child, both highly regarded). I am a fan of Amis’ early works but have felt in his more recent ones he was more interested in showing his “enfant terrible” side than in producing readable books — for me, Lionel Asbo was a stunning return to form. The title character changed his name to Asbo (UK shorthand for Anti-Social Behavior Order) and is determined to live up to his new name. While awaiting trial in prison, he wins £140 million in a lottery which adds significant challenge to that objective. 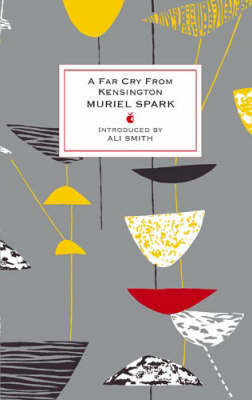 Amis uses those unlikely circumstances to produce a laugh-out-loud satire of contemporary London at both its poorest and richest extremes — the result alternates between the bitter and sweet, but is always hugely entertaining. The Imposter Bride, by Nancy Richler. Anyone who read and remembers my review of The Imposter Bride is probably surprised to see it included here — I’d just finished a string of Giller longlisted novels that all seemed to feature abandoned children searching for their mothers and my initial response to Richler’s novel was rather grumpy since that is its central story line. A Jewish refugee arrives in Montreal for an arranged marriage that allows her to come to Canada. Not long after, some shady aspects of her history cause her to abandon her infant daughter — the novel is the story of that daughter and her curiosity about her mother. My opinion of the novel has grown steadily since reading it (the Shadow Giller Jury did award it this year’s 2013 prize) — Richler’s portrayal of post-WWII Montreal and the struggles and concerns of those who inhabit it matures like fine wine as time passes. That They May Face The Rising Sun, by John McGahern. John McGahern is the second most-reviewed author on this blog with five titles (Jean Echenoz is first with six) and every one of them has been excellent (you can find reviews of all five here). Having said that, this novel (his last) would be my favorite of the bunch. A couple who have recently moved to rural Ireland from London are at the core of the book (for Joe Ruttledge it is a return to the area where he was born and raised) but it is the complete cast of well-developed, heart-warming characters that is responsible for making it excellent. Ireland has produced many novels which feature its “challenged” communities — of those that I have read, this is the most accomplished of the genre, a perfect gem of a book. The Boy Who Followed Ripley, by Patricia Highsmith. Including this one does seem a bit of a cop-out — volume two of Highsmith’s five-book Ripley series was on KfC’s 2011 top 10 list. It seemed even more unfair to leave it off, however. Tom Ripley is one of literature’s most interesting and charming rogues — a truly amoral scoundrel on the one hand, but a fascinating character study on the other. Actually, I read two Ripley volumes this year (Ripley’s Game as well as this one) and still have one to go in 2013. The link will take you to reviews of all four that I have read so far — to appreciate Tom, you need to read them in order. The Diamond Jubilee: The Life and Times of Queen Elizabeth II. A guest post from Mrs. KfC. February 6th, 2012 marks the 60th anniversary of the ascension of Queen Elizabeth II to the throne of England. With the exception of her ancestor, Queen Victoria, no other monarch has served as long on the throne of the British Empire. 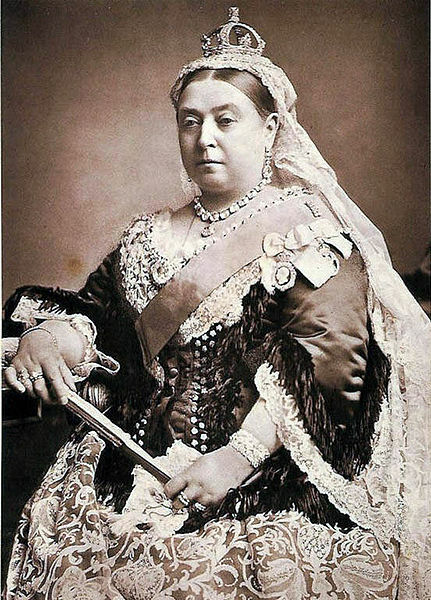 While Queen Victoria occupied the throne for 63 years, she really only reigned for twenty, because as soon as her consort Prince Albert died, she went to ground and spent the rest of her life, fully 40 years, as a pampered and self-indulgent recluse, neglecting her duties as Queen and flaming the always nascent republican sentiment in the land. She was a dour, joyless woman whose only contributions were the naming of an era and populating the thrones of Europe with her progeny. Not a lot of return for the vast amounts of wealth she and her large brood took from the British treasury over her lifetime. Her great-great grand-daughter is a very different story. Queen Elizabeth was not born to succession and, had history played out differently, she would have been a mere member of the royal family, an interesting cousin to the King, perhaps, and could have chosen her own path in life. When her uncle Edward the Eighth abdicated to marry the twice-divorced American, Wallis Simpson, Elizabeth’s father was thrust on to the throne with no preparation or training. He ruled for only sixteen difficult years, including all of World War II, before succumbing to cancer at just 57. His daughter has now been Queen for longer than he was alive. The story of Queen Elizabeth II’s reign is the story of modern Great Britain. A study of her reign is a study of the evolution of society as expressed through politics, morality, the class system in the UK, and an institution which has always had to adapt or die. While many of the adaptations the monarchy has had to make have been painful, this Queen has been masterful in understanding what needed to be done, and implementing change with care and sensitivity, ensuring that the institution stays relevant as the world inevitably changes. 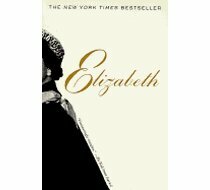 Elizabeth the Queen: The Life of a Modern Monarch by Sally Bedell Smith is a very readable narrative description of the life of Queen Elizabeth. It details her reign from the beginning to now and is really the story of her “job” and her life as told though the events in her life between 1952 and the present day. Because Bedell Smith is an American, she spends much time discussing the Queen’s interactions with various American diplomats, presidents, and luminaries. The author relies heavily on other published works as well as interviews and, while there is nothing new or startling in this book, it will be appealing to American readers who are interested in the quotidian details of the work of the monarch, and her family, and the devotion to duty which is embedded in Queen Elizabeth’s DNA. Both Ben Pimlott and Sarah Bradford published biographies of the Queen to commemorate her seventieth birthday in 1996, and unlike Bedell Smith’s approach, they both wrote of the life and times of the the Queen. 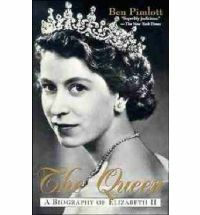 Pimlott’s work is The Queen: A biography of Elizabeth II and Bradford’s is Elizabeth. Each has provide historical and constitutional context for the events surrounding the life of the Monarch and, as both authors have intimate knowledge of the English aristocracy, they provide both insight and color (read gossip) in to the rather arcane world inhabited by the hereditary ruling class, and the implications of their dynastic worldviews. They have both chosen to locate the monarchy within the broader context of the Commonwealth and the world, which is very instructive in understanding the role of this Queen as a global leader, albeit a quiet one. As the monarchy is at the intersection of the military, the political and the aristocratic life of the country, understanding those elements is key to understanding the brilliance of the reign of this Queen. While both these books are excellent, and highly recommended, there is little to choose between them, as each is organized chronologically, is very well researched and unfailingly interesting. 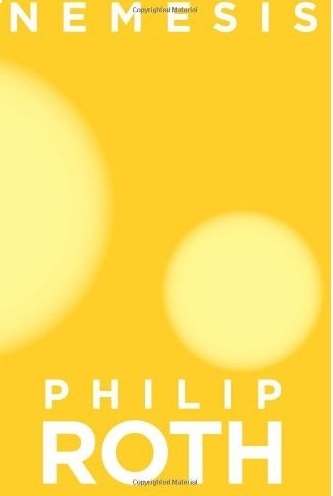 While each of the three biographies above dwells on the important role of Prince Philip, the royal Consort, the recently published Young Prince Philip: His Turbulent Early Years by Philip Eade helps provide insight into this complex and remarkable man who has been at the Queen’s right hand for 64 years. While he started out as a dashing but impoverished Greek emigre with connection to the House of Windsor, he became one of the most influential but unsung men of the last century. His path to this pinnacle was often painful, but he is truly a man of steel, facing adversity head-on, keeping calm and carrying on, and speaking his mind as plainly as you like (much more plainly than many of the courtiers like, actually). To fully understand and appreciate this remarkable Diamond Jubilee, it is necessary to understand the role Prince Philip has played, and Eade’s book is a look into the circumstances and decisions that shaped the man. The 2011 year may have a few days to go yet, but just in case you are looking for a last-minute book to put on your list (or to buy for a friend) or some volumes to purchase with the book tokens or gift cards you know will be under the tree, here’s the top 10 from my reading year. — KfC’s 2011 list features far fewer unread or reread classics or older books than normal (eight of the 10 were published in 2011). I hold Adam Mars-Jones at least partially responsible for that (read on to find out why). It was also an unusual year in that it featured the publication of a number of very promising titles early in the year which is normally when a dearth of contemporary titles sends me back into the stacks to pull out some overlooked volumes from previous decades or centuries. — I had the feeling as the year unfolded that it was an exceptional year for Canadian fiction and this list confirms that. Four titles here are new books by Canadian authors and those four don’t even include the Giller winner, the two Canadian titles that made the Booker shortlist and a number of other Canadian titles from the Giller longlist that were also on the KfC longlist (and all of those are worthy volumes). I have been reading Canadian fiction for almost a half-century now and I can’t recall a year that had so many high quality novels and collections. — an indication of how dreadful this year’s Booker jury was is that four of my 10 selections were Booker eligible (and that doesn’t even include the eligible titles from Canadian authors) and only one of those four (the eventual winner) made their longlist. It was an exceptional year for U.K. fiction as well — and a very bad year for the Prize to have such a dreadful jury. — three of my 10 are debut novels, another good sign for readers. I don’t consciously try to read first novels but neither do I avoid them so the fact that three are included is an indication we have much to look forward to in the future. The list is arranged alphabetically by author; there is no way I would attempt to rank the top 10 because I allow myself the serendipity of putting books on the list based solely on “liking” them and I “like” books for a whole bunch of different reasons, as you will discover. I’ve tried to indicate my “why” with each book — rest assured, I heartily recommend all 10. 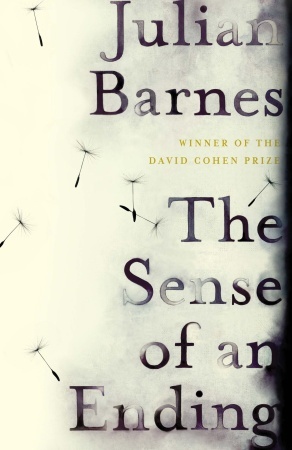 The Sense of an Ending, by Julian Barnes. In a reading year characterized by such a disastrous Booker jury, it is almost embarrassing to see their winner first on my list — but put that down to Barnes’ early appearance in the alphabet. There is no way that this exceptional, 150-page novel could be left off. Tony Webster is in his early 60s, retired from a working career where stablity and security were much more important to him than conventional notions of achievement, and entering the period of contemplating a life lived. The short novel opens with scenes from his school days but picks up dramatic pace when he receives notice of a £500 bequest which also promises the copy of a diary from an old school friend. One of the things that Tony is already thinking about is the difference between shame, guilt and remorse — and the strange bequest sends him off on a search that will bring that difference to life. If you check the comments in my post, you will find that some readers are perplexed by the unresolved confusion of some key elements in the novel: my explanation would be that while some (not all) younger readers may find that troubling, those of us who are of Tony’s age are only too aware of the uncertainty that comes with memory, even memories of important events in our own life. The Sense of an Ending should be regarded as at least a 300-page novel (and maybe 450) — you will want to read it more than once. The Free World, by David Bezmozgis. The Free World may be David Bezmozgis’ first novel but it is not his first book — indeed, it could be characterized as a prequel to his 2004 story collection, Natasha, which made the Giller shortlist (and which I read pre-blog, so alas no review here). We meet the Krasnansky family on a railroad platform in Vienna in 1978, Jewish refugees on their way from Latvia to Rome, which will be a holding station for some months before they move on to a new life in the United States or Australia or (as was the case with the author’s parents) Canada. The storyline about the uncertainty of the months in Rome is good but the most powerful themes of the book are the memories of what the previous life was like. The grandfather was a Soviet hero, even if his recent time there has soured him on the whole experience, and not at all sure about this emigration. Polina, the wife of one of the Krasnansky sons, has even more conflict in her memories. 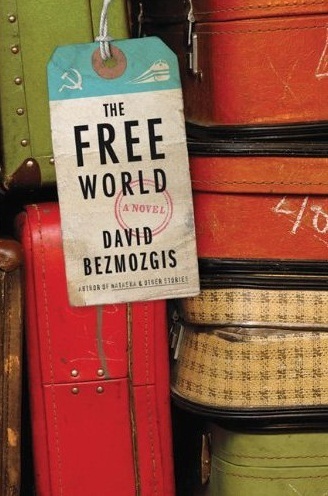 The Free World is an impressive debut novel (and equally outstanding second book) — I look forward to reading more Bezmozgis in the future. The Meagre Tarmac by Clark Blaise. My only criticism of the 2011 Real Giller jury is that they left this short-story collection off the shortlist (the link will take you to a guest review as well as my own). Blaise is a veteran master of the form and these 11 stories are an outstanding example of another Canadian fiction phenomenon: the “immigrant” novel. Okay, it is a story collection not a novel and they are set in the U.S. but still…the author is Canadian. The index page says they are meant to be read in order: in fact, the collection tells the stories of five Indian immigrants in two and three story sets. Blaise’s characters are not refugees or even middle-class: they have been very successful in their North American experience but all of them are trying to cope with emotions that draw them back to the land where they were born and still have strong family ties. The theme is powerful, the prose even more so. Blaise deserves to be ranked with Canadian masters of the short story such as Alice Munro and Carol Shields (it is a genre we are very good at) — this rewarding collection is ample indication of his talent. 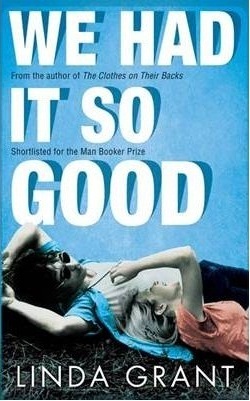 We Had It So Good, by Linda Grant. When I read this book in January, there is no way that I thought it would make my year-end top 10 list — it is a testimony to Linda Grant’s novel, that it grew consistently better in memory as the year went on. The central character, Stephen, was born in 1946 which makes him one of the first baby-boomers, and is now on the verge of becoming a senior citizen (not unlike Barnes’ Tony Webster) looking back on his life. Born and raised of mixed ethnic parentage in California, the defining event of his life was winning a Rhodes scholarship — he met his wife during the turbulent 1960s at Oxford and has been in the U.K. ever since. The title of Grant’s novel captures her over-riding theme: those of us born in the post-war 1940s (KfC was born in 1948) really did have it “so good” and only now are coming to the realization that we wasted the opportunity to make a difference. Given the real-world events of the last few years, it is no wonder that We Had It So Good became more impressive as 2011 wore on. 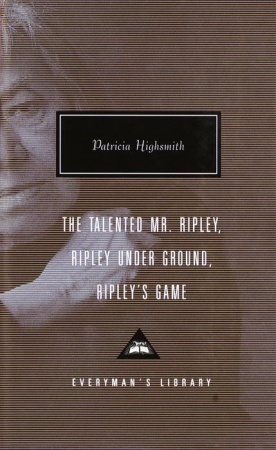 Ripley Under Ground, by Patricia Highsmith. This selection probably qualifies more as a Lifetime Achievement award (and I have only read the first two of five Ripley novels and none of the rest of Highsmith’s extensive catalogue) but that is no reason to leave it off the 2011 list. If you don’t know Tom Ripley, he is one of fiction’s most interesting evil characters — and if you only know him from the excellent Ripley movies, rest assured the original books are even better because they contain so much more than can be captured in even the best of movies. As for other Highsmith fiction, let’s just say Hitchcock was a major fan. The link will take you to reviews of both this book and The Talented Mr. Ripley — make sure you read the comments, because many visitors here have read and recommend far more Highsmith than KfC has got to so far. She will be making at least one appearance on this blog in 2012. 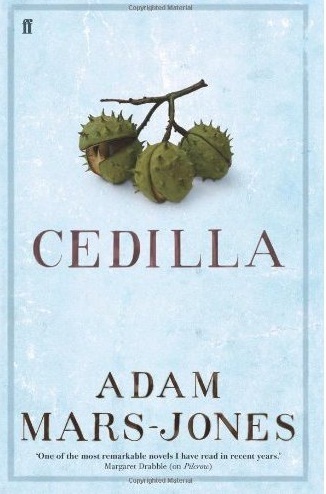 Cedilla, by Adam Mars-Jones. As noted above, I am blaming Adam Mars-Jones for the lack of classics on this year’s top-10 list. Cedilla (733 pages) is volume two in his multi-volume chronicle of the life of John Cromer — I knew it was due out in March and had not yet read volume one, Pilcrow (525 pages), so a lot of first-quarter reading time which is when I normally return to the classics was devoted to Mars-Jones. It is hard to believe that 1,250 pages (the link connects to reviews of both books) could be described as a “quick” read but the author succeeds in making Cromer interesting on every page. Cromer has Still’s disease and is confined to a wheelchair — Pilcrow takes him to the end of adolesence, Cedilla is mainly about his days at Cambridge, with a fascinating global sidetrap. Cromer is not only an interesting character, Mars-Jones uses the setting of his confined life to offer some perceptive observations on the England of the mid-twentieth century. At least one more volume is promised — I assure you taking on the trilogy (or tetralogy if that is what it turns into) is worth the time and effort. The Spoiler, by Annalena McAfee. This is a highly self-indulgent pick but I hope to convince at least a few people to try it: I love newspaper novels and this is an excellent contemporary example. Honor Tait is “an old-school journalistic heroine” with a raft of achievements (e.g. interviewing Franco during the Spanish Civil War, Madame Chang Kai-Shek some years later) and awards to her credit. Honor spent her money as she earned it and is now reduced to recycling old news stories in book collections to finance her lifestyle. At her publisher’s urging, she reluctantly agrees to a promotional interview with a quality tabloid — which bring Tamara Sim, a “regular casual” at The Monitor, into the story. Sim spots an opportunity for scandal, lucrative from her young, ambitious perspective. McAfee has impressive journalistic credits from the quality English broadsheets — she is married to author Ian McEwan, so she also has experience on the “celebrity scandal subject” side. If you are interested at all in what produced the current Murdoch fiasco (the novel is set in 1997 London), you will find this debut book more than worthwhile — and have some very good chuckles along the way. A Good Man, by Guy Vanderhaeghe. There is a fair amount of self-indulgence in this pick as well — A Good Man is book three in the author’s loose Western trilogy (The Englishman’s Boy and The Last Crossing are the first two) and I have been an enthusiastic supporter for years. While the first two books were grounded in the conflict between invading white exploiters and settlers and the First Nations peoples, that conflict is in a “mop-up” stage in this book. The central character, Wesley Case, comes from a powerful Ottawa family and is a failed North-West Mounted Police member as the book opens — he buys a farm in Montana but runs messages between American and Canadian forces to help out with funds for the set-up. The direct wars with aboriginal tribes may be over — the white men have already found lots of grounds on which they can plot and fight with each other. A Good Man is another excellent example of Vanderhaeghe’s ability to capture Western North American historical fiction (you don’t have to read the trilogy in order, incidentally). Montana 1948, by Larry Watson. Watson is my “discovery of the year” in terms of productive authors whom I have not previously read and I owe that to Trevor at the Mookse and the Gripes whose enthusiastic review of this novel moved me to buy it a few years ago. The story of Montana 1948 is told by 52-year-old David Hayden who looks back on a sequence of events that took place in Bentrock, Montana 40 years earlier — the 12-year-old didn’t really understand what was happening with his sheriff father and family then, but the wisdom of age brings the dreadful experience into focus. Watson impressed me enough with this book that the preceeding post on this blog is a review of White Crosses, another novel featuring another Bentrock sheriff. Touch, by Alexi Zentner. The fourth novel here from the 2011 Giller longlist and third first novel on this list, Touch is a fitting, closing example of the highpoints of KfC’s reading year: a new Canadian author with much promise for the future. The narrator of the novel is an Anglican priest who has just returned to the British Columbia gold rush town of Sawgamet (“founded” decades ago by his grandfather) to attend to his dying mother. The narrative moves between the three generations and is proof positive that the Canadian “frontier” novel is still alive: it features both native and Christian spirits, backbreaking physical survival and a 30-foot snowfall. The Canadian cover would be on my shortlist of “Covers of the Year” as well. On to 2012. I hope you found 2011 as rewarding in reading as I did — and that the next year might be even better. I am quite aware that 2010 has some time to run but, like the New York Times and other publications similar to KfC :-), I am also aware that December is a time when people contemplate giving (or getting) books as Holiday presents. So, if only to put your own brain into gear, here are the 10 best books I have read in the last 12 months. If you can find an inspiration to give — or to receive — any one of them, so much the better. I don’t have a favorite in the ten. I have listed them in the order that I read them. Click on the title for the original full review. 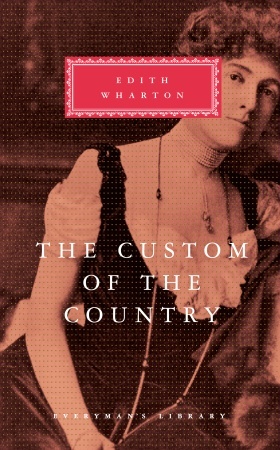 The Custom of the Country, by Edith Wharton. This was a re-read of a favorite book, so it is no surprise to see it on this list (the link will take you to a couple of other Wharton novels as well). Edith Wharton (and Henry James) are two of my favorite authors. The compelling story of Undine Spragg’s exploitation of her beauty and fortune is one of the most powerful novels ever written. If you don’t know Wharton, don’t start here (The Age of Innocence or The House of Mirth are both better entry points) but for my money this is the best novel from one of the best writers ever. 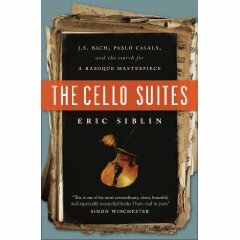 The Cello Suites, by Eric Siblin. This is one of the few non-fiction books that I have reviewed, but it reads like a novel and keeps coming back to mind. Siblin splits his story into three recurring parts: Bach’s composition of the Suites, Pablo Casal’s discovery of them, and Siblin’s own search for the story. An intriguing and powerful read — and you can play the exceptional Suites in the background as you read it. 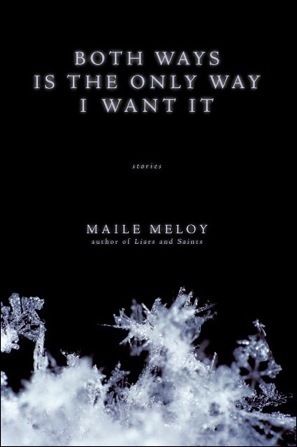 Both Ways is the Only Way I Want It, by Maile Meloy. I am a fan of short story collections and this is an exceptional one — and Meloy has a back catalogue that will be reviewed here in the future. She is Montana born and raised and it is the stories that are set there that are my favorites. Every story features carefully developed characters, facing interesting challenges — overall the book is an excellent example of how this genre can serve readers in a very special way. Nine Stories, by J.D. Salinger. 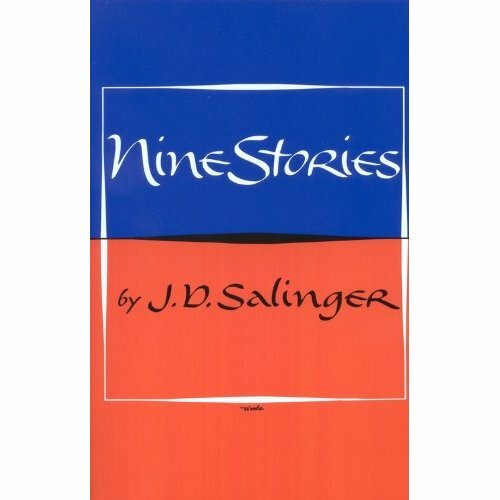 Salinger’s death in January moved me to reread all his published works (the link will take you to reviews of all but The Catcher in the Rye) and I was not disappointed with the experience. Nine Stories, the volume that introduces us to the Glass family, was — and is — my favorite. Every story is an experience. And we are still wondering if there are manuscripts that might yet be published. If you haven’t read this collection, make time for it — truly exceptional. 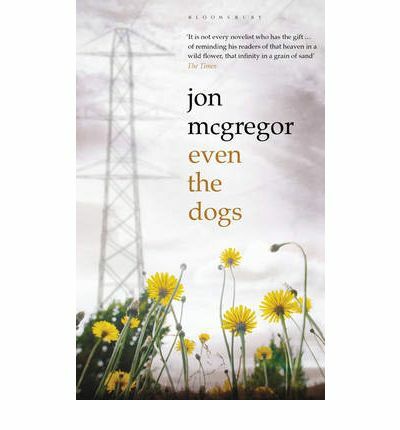 Even the Dogs, by Jon McGregor. This was my first McGregor and a personal Booker Prize favorite, even if it did not make the longlist. McGregor tracks a collection of Birmingham drug addicts and down-and-outers in a humanistic (albeit dreary) story. It is a deeply touching novel, despite its sordid details, and one that keeps coming back to mind. A very powerful novel. 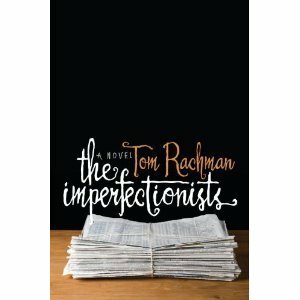 The Imperfectionists, by Tom Rachman. In sharp contrast to McGregor, the funniest novel that I read in 2010. In some ways it is a collection of linked short stories — profiles of 11 characters who work for, or read, an English-language newspaper published in Italy. Every one of them is developed in full fashion and the result is a heart-warming collection of stories of “lost souls”, trying their best to survive. A debut novel, it offers promise of much more from the author in the future — a book not to be missed by serious readers. 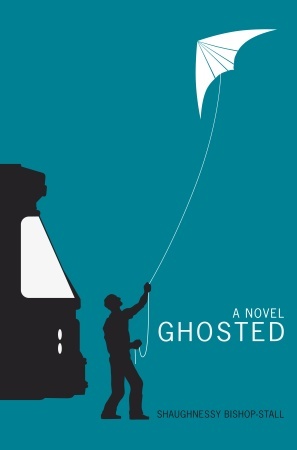 Ghosted, by Shaughnessy Bishop-Stall. 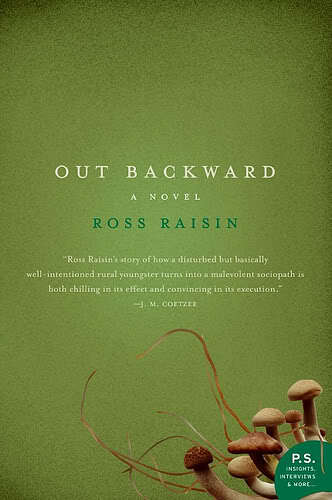 Another first novel and very much a personal favorite, although it did get overlooked in the Canadian awards world. Like McGregor’s book, it tells the story of down-and-outers — and in the process presents a most interesting picture of contemporary Toronto. A mix of comedy and tragedy, it has some wonderful moments about the life of the struggling in Canada’s largest city. Excellent characterization, but for me even better is the way it captures a contemporary urban enviornment. 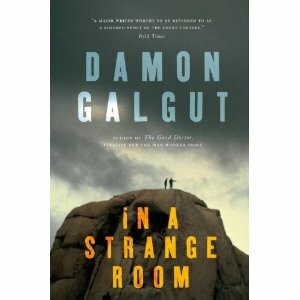 In a Strange Room, by Damon Galgut. My choice (and that of many other serious readers) from the 2010 Booker Prize shortlist, this novel consists of three linked novella-length stories about a traveller who searches for, but never quite finds, a meaningful life. Galgut is an author with a substantial reputation and this book only adds to it. Fair warning — it is a novel that wants more than one read to really appreciate it. 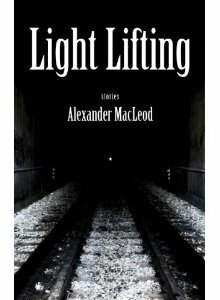 Light Lifting, by Alexander MacLeod. Another debut work, this time a collection of short stories, all set in Windsor, Canada. It was the unanimous choice of this year’s Shadow Giller Jury, although the Real Jury opted for Johanna Skibsrud’s The Sentimentalists. MacLeod (the son of Alistair, who is one of the world’s best short-story writers) recounts seven stories with a wide variety of characters — some are better than others, but every one is exceptional. Another author to be appreciated in the present and, even more, looked forward to in the future. 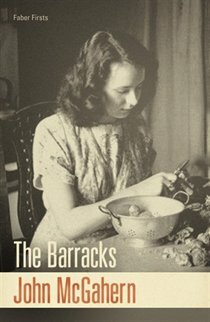 The Barracks, by John McGahern. Consider this a KfC version of a lifetime achievement award (the link will take you to reviews of four of McGahern’s novels). The Irish produce a lot of great writers — some of us believe that McGahern is the best. He isn’t cheery — this study of the desolate loneliness of a police sergeant’s wife struggling to make a life is typical of his work. But amidst the sorry tale, there is an undertone of struggle and hope that adds a rare depth. I have a couple of McGahern novels to go and I can’t wait to get to them. Whoops, we are going to have an eleventh choice. I’d made my selections before I read Philip Roth’s Nemesis and there is no way that I can leave it off the list for 2010. Roth’s book is about a polio epidemic in New Jersey in 1944 — from the opening pages it brought to life my own childhood and the fear of polio a decade or so later. The first half of the novel captures that experience, for those of you who were — or weren’t — there. The second half explores notions of personal responsibility and guilt. When Roth is on he is exceptional. This book completes his recent four-novella series and, for me, they represent an amazing achievement. A number of “name” authors produced novels this year — Ian McEwan, Martin Amis, David Mitchell, Jonathan Franzen and Jane Urquhart to name just a few — and none of them made my personal list, as good as their books might have been. If I was to characterize the fiction world of 2010, I would say it was a year when a number of new authors produced some outstanding work and some lesser-known names moved up the list. I have to think that a changing of the guard is underway — and for those of us who love to read fiction, there is very good reason to be optimistic that very good books are going to be produced in the near future. In Canada, this is the Victoria Day holiday weekend, marking the beginning of summer. The day is named for Queen Victoria (birthday, May 24, 1819), the monarch on the throne when this new country was organizing itself and we are all very grateful that the Powers in Charge turned their collective attention to the business of designating holidays. That they named this day after Queen Victoria speaks to their attachment to the crown of England and the esteem in which the monarchy was held in those distant days. Of course all that has changed, and the British monarchy today is a quaint anachronism. It is, however, the world’s most visible and famous matriarchy, having an unbroken line of defining women dating back to Queen Victoria. The men on the throne were weak, ineffectual sorts, oversupplied with the Saxe-Coburg-Gotha blood which rendered them rather gormless and to a man they sought out strong defining partners. From 1936 to today, five steely women alternately nearly destroyed the monarchy (Wallis Simpson), redefined it (the Queen Mother ), stabilized it (Queen Elizabeth II), nearly destroyed it again (Princess Diana), and rendered it irrelevant (Camilla Parker-Bowles). As we await the announcement that Prince William has proposed to Kate Middleton, it’s interesting to explore the women who have preceded her and ponder what part she will play in the future of the monarchy. Wallis Warfield Simpson, a twice divorced American, brought the throne perilously close to destruction in 1936, and defined the monarchy’s world view to this day. She was a cunning, ambitious woman who stole the heart of Edward the Eighth and prompted him to abdicate the throne as he tearfully announced that he could not bear the weight of the crown without the support of the woman he loved. 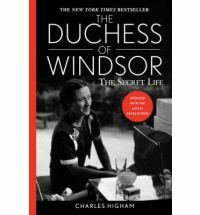 Charles Higham’s superb book The Secret Life of the Duchess of Windsor chronicles her journey. From early days as a poor aspiring deb in Baltimore, to her mysterious sojourn in China (some say as a skilled prostitute), through her two early marriages, Higham follows a ruthless, manipulative woman, who puts herself in the way of a weak and narcissistic David Windsor (Edward was his chosen coronation name), who throws caution and decorum to the wind, and embarks on a sybaritic and self indulgent life with Wallis, travelling the world openly as lovers. Once the British press broke their complicit silence on the affair, a full constitutional crisis ensued and he was forced to abdicate. Higham does a wonderful job of painting a picture of the “bright young things”, making ready to take over the monarchy, to their painful fall from grace and their empty existence as vagrant émigrés, living in Paris and searching for meaning for the rest of their lives. The British were unforgiving, never allowing the couple to return to England after their scarper out of the country and this humiliation drove them in to the arms of Hitler, who planned to restore them to the crown when he won the war. To understand why the Windsors think and behave as they do today, and why the current Queen will never abdicate, this book is a must read. Elizabeth II, the current Queen, has now reigned for 58 years, 3 months and, with one notable exception, has never put a foot wrong. She ascended the throne at the age of 26, as a young wife and mother and devoted her life to duty and the crown. 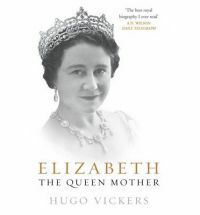 The Queen – A Biography of Elizabeth II by Ben Pimlott is a workmanlike biography of a remarkable life. Queen Elizabeth has served 12 British and Canadian Prime Ministers and known 12 US presidents, from Harry Truman to Barack Obama. (KfC says Australia and Italy come next on his list of visitors – for the record, her reign has seen 11 Australian Prime Ministers and 45 Italian heads of state.) If she lives until September, 2015, she will surpass Queen Victoria as the longest serving female monarch in history. Her story is the story of the 20th and 21st centuries and to follow her reign is to follow the history of all the important themes of modern British history. When she makes her 24th visit to Canada next month, this indefatigable monarch will be received with the warmth and affection she has earned as a steadfast supporter of the people and institutions of the country. Her devotion to duty, though, has come with a price. Three of her four children are divorced and the Windsors became the poster family for dysfunctional relationships in the 1980’s and 1990’s. Considering that one of the most painful times of her life involved denying her sister Princess Margaret leave to marry Peter Townsend, the love of her life, because he was divorced, it is indeed ironic, although not surprising, that her family is in marital disarray. In 1997, she followed the advice of tone deaf courtiers and responded coldly and remotely to the death of Princess Diana, incurring the wrath of her subjects. She had reigned with a supreme sense of duty and decorum, but was ill-equipped to understand or respond to the emotional outpouring caused by the premature death of Diana. While this was the cause of her “annus horribilus”, and once again imperiled the very monarchy, she gradually restored calm and dignity to The Firm and has not has a bad annus since. She has lost her beloved mother and her much loved sister Margaret, but invests much in William, who carries her hopes for the regeneration of the monarchy in the future. What she thinks of Prince Charles, and his prospects as a king, is a mystery, and deservedly so. 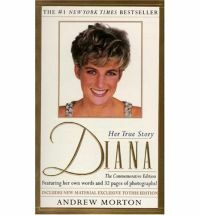 Princess Diana’s life is much chronicled, but the definitive work remains Diana, Her True Story by Andrew Morton. Written with her full cooperation, and that of her friends, this is the story of the consequences of the Windsor’s ill conceived choice of a brood mare for Prince Charles. The Queen Mother was instrumental in tipping Diana for The Bride, as she was the granddaughter of Ruth, Lady Fermoy, her Lady in Waiting, and was presumed to know the drill: get married, produce an heir and a spare, and then go on about your business, as your husband goes on about his (in this case, Camilla Parker Bowles). But Diana was having none of it, and when, as a young and beautiful bride, she realized that her husband had never given up his torrid relationship with Camilla, and was openly flaunting it with the country set, she took a page from the Queen Mother’s book and proceeded to win the hearts of the people, in her eventual quest to become the Peoples’ Princess. She was glamorous, warm, modern, and just plain fabulous. Aside from stalking heart surgeons, and the odd fling with a footballer and various psychics, she came to devote her time to good causes – AIDS awareness, land mines. Had she lived she might well have become a saint — or blown herself up, we can never know. Her record of poor choices in men ultimately caused her death. She and Dodi Al Fayed were en route to see the Paris chateau of Wallis Simpson and Edward the night she died. Her lasting contribution to the monarchy is in the gene pool, which she has greatly enhanced. Her attempts to modernize the institution have fallen on fallow soil, as Prince Charles has reverted to days of yore and is given to muttering to his plants and criticizing architectural carbuncles, often crossing constitutional lines with his opinions. And finally, Camilla Parker Bowles. 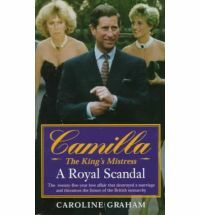 Camilla, The King’s Mistress: A Love Story by Caroline Graham is a sanitized but still prurient account of the affair between Prince Charles and Camilla which started when they were both 18 years old and continues uninterrupted to this day. It prevailed through each other’s marriages, the birth of four children (two to each) and 44 years of life itself. She is a thoroughly unlikeable woman to those of us who know her only by her story. To those who DO know her personally, she is apparently a topping great gel and wonderful fun. She is not beloved by Prince Charles’ subjects, and if he does become king and she does become his queen (which she will do), they could well render the monarchy irrelevant and hasten the road to a republic. Poor hapless Charles has led a life waiting for his mother to die – which must be a very strange way to exist. If the Queen follows her mother’s example, she will live to a very old age indeed, and Charles could be a very doddering old thing when he is crowned. Not a good sign for someone who so closely resembles his great Uncle Edward. And who is not helped by his consort, an entitled and unloved woman. Having now completed my reading of the 2010 IMPAC shortlist, I’ll indulge in some critical thoughts and even a hesitant prediction. Those who know my record in literary predictions outside Canada (where I actually have a pretty good record) will realize that this is most likely to produce sure losers, rather than probable winners. Still, I’ve read the books (and reviewed all but two — Trevor and dovegreyreader do a better job than I could on those ones). You can find links to reviews in the sidebar over here >>>>>>. And before we start, a reminder that entries in KfC’s 2010 IMPAC contest remain open until June 16, so by all means join the contest. Full details are here — you can submit an entry on that post or this one. As noted in that post, the IMPAC is an odd duck in the literary contest world. Nominations come from libraries around the world (which I think is a good thing because it reflects reader judgment) and are restricted to English language books or books published in English translation in 2008. On the positive side, that means the novels have been reader-tested; on the negative side, it means they risk being a bit shopworn or have been overlooked. 2009 — Man Gone Down, by Michael Thomas — a post-modern American novel that attracted a few favorable reviews but not many. And one of the rare books that I abandoned (I warned you about my contest record). 2008 —De Niro’s Game, by Rawi Hage — a Canadian novel that did not go very far in national competitions here. I was lukewarm about it . 2007 — Out Stealing Horses, by Per Petterson, translated from the Norwegian. A book that I would never read had it not been an IMPAC winner and a book that I very much liked — some readers did find it slow. 2006 — The Master, by Colm Toibin. In the IMPAC world, this is the oddball winner because it is the most conventional novel of these five and the only one written by a “name” author. A very, very good book. 2005 — The Known World, by Edward P. Jones. An American novel about slavery that I have not read — I’ll confess that I have read as many of those novels as I think I am up to. It does have a good critical reputation. So, with that recent history in mind, how does the 2010 shortlist stack up? I’d start by breaking it down into three categories. 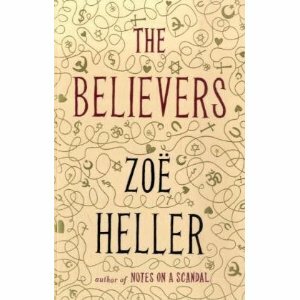 There are three “American” novels: Home by Marilynne Robinson, Netherland by Joseph O’Neill and The Believers by Zoe Heller (I know she’s English, but it is set in New York). 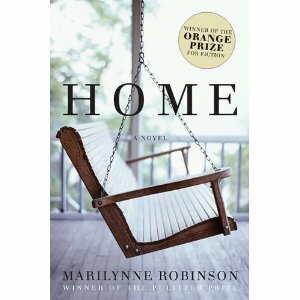 Home is probably the most accomplished of the three and won last year’s Orange Prize. It provokes some highly varied responses — many readers love it with a passion, others (including me) have no taste for it at all. It would be The Master on this year’s list and I’m guessing the jury will decide it has already won enough prizes. Of the other two, Netherland has attracted more attention, but no significant prizes: The Believers has tended to pass unnoticed, despite Heller’s reputation. If the winner comes from these three, I’d guess Netherland — and that would be my choice as well. 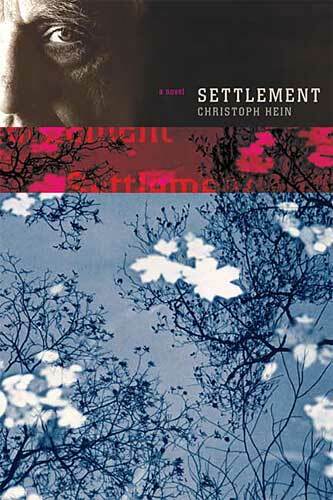 Then there are three translated novels: The Elegance of the Hedgehog, by Muriel Barbery (from the French); The Twin, by Gerbrand Bakker (from the Dutch) and Settlement, by Christoph Hein (from the German). The Barbery is an international success story and a book club favorite — I suspect too light to win this prize. I liked both the Bakker and the Hein — my choice would be Settlement and I suspect it would be the jury’s as well. It is an excellent book and the subject matter (the complications of re-unifying Germany) is both timely and worthwhile. And there are two UK books: In Zodiac Light by Robert Edric and Ross Raisin’s Out Backwards (God’s Own Country in the UK.) Edric is a prolific novelist whose work shows up periodically in competitions — I think this book is the weakest of the eight (which means you can mark it down as a sure winner). Settlement was a wonderful discovery for me. Hein has a substantial European reputation but this was his first book that I have read; I will be reading others. Settlement is a major achievement. My personal choice would be Settlement, with Netherland a close second. I thought all eight of these shortlist books were worthwhile reads; only Settlement moved into the exceptional category. As for the jury choice, I’m guessing that they will come down to Hein or Raisin — there have been enough North American winners in the last few years that I am predicting that they will be passed by. Having confessed my preference for Settlement, that would be my prediction but I would not be surprised to see God’s Own Country as the winner — it is a more than competent first novel and has much to recommend it. And, as a longshot choice, I would throw Netherland into the mix. And I am not entering my own contest, so all of the above is drivel as far as that is concerned. A lot of blogs have contests, but I would like to think that we do our best here to make it interesting for everyone to enter, while at the same time requiring them to jump over a small stile. KfC has not had a contest for a while but we do have a tradition of challenging our entrants. And, of course, demanding a skill component. And then introducing something totally unskilled as a tie-breaker. So…KfC ran a contest last year on the 2009 IMPAC awards. In many ways, while the IMPAC is not the most important of the Prize contests, it is the most interesting — nominations are made by libraries around the world (which produces a very long (156 books) longlist — see here — which I would like to think has some reader impact) and then winnowed down to a shortlist of eight. Most important, the conditions are English language novels published two years ago and translations into English from the last five years. That means that the IMPAC in some ways is a “look back” at prize competitions from two years ago; but then they add their own twist. And throw in a few translated novels just to make it interesting. And then the jury often chooses the most outrageous result (yes, I admit now that I abandoned last year’s winner, Man Gone Down, 270 pages into the book). By way of spiking interest, the Booker-winning The White Tiger was elgible this year and did not make the short list; neither did The Secret Scipture. These library readers are a very, very picky bunch. More power to them, I say. The first prize in the KfC contest will be $100 in credit at the international online bookseller who will accept my credit card and ship to your address (alas, the last time I checked the Book Depository does not offer this service yet). Second prize will be $50 worth of book credits. In both cases, for those who are interested in Canadian books, I will be quite willing to increase the prize by 50 per cent if we can negotiate a list of books to be shipped from Canada. The IMPAC winner will be announced on June 17 so that makes the entry deadline for this contest midnight, June 16 GMT — to encourage early entries, there will be a 25 per cent prize bonus to any winning entry that is submitted prior to June 1 . Do submit an entry quickly so we can at least get some comment talk going. You are allowed to change your choice any time before the deadline. And of course with only eight books on the list, there must be a tie-breaker. If two entries pick the winner, we will split the prize. If there are more than two, in the interests of encouraging my Antipodean and North American visitors, this year’s tie-breaker will be: Whoever lives farthest away from the most frequent abode of the winning author (KfC will be the judge of that). I certainly hope that doesn’t discourage UK and Ireland entries but it does add a totally arbitrary element to the contest. If only one person picks the winner, the second prize will go to the entry that amuses KfC the most. (NOTE: If you are reluctant about entering this contest, let me tell you the story of last year’s. After receiving many entries, I had none from John Self at The Asylum and shamed him into submitting an entry. He noticed that Man Gone Down had no supporters, named it and, of course, it won. We had a great time putting together a selection of books for his newborn son, Finn. I fully expect Finn to make his own entry this year. So don’t think you need to be an expert reader to enter — the IMPAC jury has a history of off the wall decisions when it comes to the short list). So here is this year’s shortlist. I have only read two, and that was before I started this blog — I’ve included links to reviews that I think are very good of both. I promise to do my best to get to the other six, all of which have been ordered (I’ll put up a link to other reviews if I don’t do one myself). 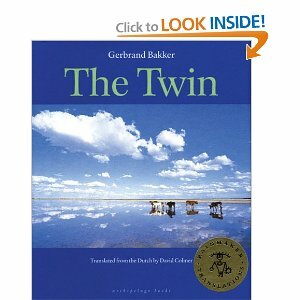 The Twin by Gerbrand Bakker (translated from the Dutch). Reviewed by Trevor here but I do intend to get to it myself. 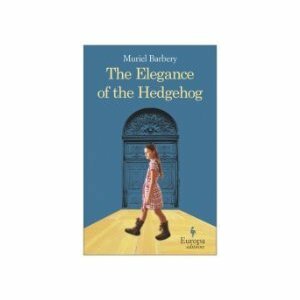 The Elegance of the Hedgehog, by Muriel Barbery. 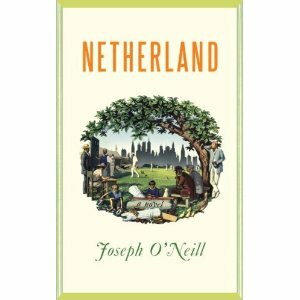 Netherland, by Joseph O’Neill. Reviewed at the Mookse and the Gripes here. God’s Own Country, by Ross Raisin (published as Out Backward in North America, where we have our own versions of God’s own country). Home, by Marilynne Robinson. I’ve read it, didn’t like it, but here’s a link to dovegreyreader who loved the book. And if you are a blogger who has reviewed any of the shortlist, or a reader who has read a review of any that you thought was helpful, please do not hesitate to supply a link. The IMPAC is a global, friendly contest and KfC’s offshoot is meant to reflect that. The financial doomsday clock was at 23:57 and counting, and unless someone did something very big very fast, it would tick down to the greatest financial disaster the world had ever seen. The economies of entire countries were at risk, not to mention the financial survival of everyone in the world who was participating in the financial markets. How on earth did we get to this, and what in the world could we do to cope with it? There is a frightening, yet fascinating story of how it all went so wrong: how the financial titans of the world created these instruments of destruction, how the regulators were asleep at the switch (Ladies and Gentlemen, give it up for Alan Greenspan! ), how the banks and insurance companies were laying off risk to each other, none of them understanding how big the risks were, and the fact that this was all knowable, but was only seen by eccentric outliers who were not invested in the Good Old Boys Club, and made a killing because of it. I confess to be riveted by all of this (note to self: get a hobby), and found that four recently published books do an excellent job of describing what happened, why, who was involved, and the fallout that resulted. There is a natural order for reading these books, as they go from the general to the very technical. 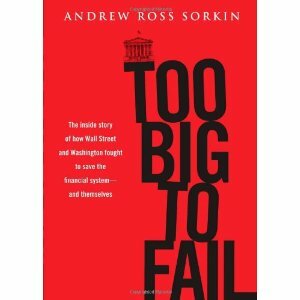 Too Big to Fail, by Andrew Ross Sorkin, is a superb page turner, detailing the events starting in September 2008 from the perspectives of the CEOs who were in full panic mode once things started to unravel, and trying to save their own skins, their companies, and eventually the world economy. Sorkin has done a thorough job of researching the events and the interconnections, and describing them in a narrative that gives the reader wonderful insights in to the personalities of the financial Uberchiefs literally rushing around New York 24/7 negotiating with each other to try and stop the hemmoraging. At the heart of this debacle was the American Dream of home ownership for everyone, and the creative effort that was expended by the financial industry to push unwitting buyers in to homes they had no hope of ever keeping is mind boggling. It was a house of cards, and once it started to topple, no one was safe. Hank Paulsen, Tim Geithner, Jamie Dimon (CEO of JP Morgan Chase), and literally hundreds of others tried to figure out what to do. This was unprecedented, and if they got it wrong, there was no telling how bad it could be. They didn’t know how much was enough – and the descriptions of how to decide on the quantum of TARP are fascinating (spoiler – they made it up). The take away from this book is that there was massive corruption on Wall Street (not a new thought) in the form of bankers being incentivized to the tune of billions of dollars while everyone on main street was teetering on the edge of financial ruin. The very systems and institutions designed to prevent this from happening were absent at best, and enabling it at worst. Sorkin brilliantly describes the behaviours and emotions of the Big Honchos on Wall Street who believed their paychecks were proxy for their brilliance, and what happens to these guys when it all goes bad. 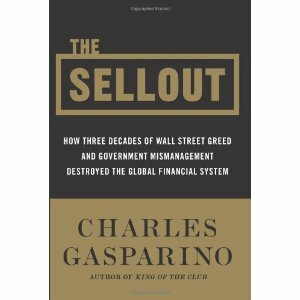 The Sellout, by Charles Gasparino is next up on the list. He picks up where Too Big to Fail left off, going deep in to the instruments that were created to support and inflate the housing bubble, and how the big Wall Street firms embraced these instruments, and built their companies around them,. The relentless pursuit of billions by the bankers, their cavalier disregard of the consequences of their actions on their shareholders, and the public gives a reader pause – why would I NOT put my money under my mattress? Gasparino does an excellent job of portraying the haplessness of the regulators, and all the system failures that contributed to the meltdown. The CEO’s of the big firms are engaged in quarter by quarter sprints to profits, each trying to outpace the others, eyes firmly on each other and the sizes of their bonuses as the ultimate measure of virility. He also describes in layperson-friendly terms how the interconnectedness of the financial world accelerated the meltdown. 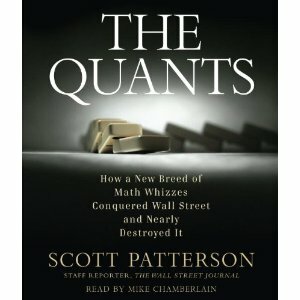 The Big Short by Michael Lewis and The Quants by Scott Patterson are two excellent books that take us in to new territory. While Sorkin and Gasparino detail the events of 2008-2009 from the perspective of the titans of Wall Street, and their willful blindness to the unfolding disaster, Lewis and Patterson have written two excellent books about the people who COULD see it. These are the stories of the people we would have described as “the unpopular kids” in high school. Brilliant nerdy mathematicians, and physicists who are eccentric personalities, but figure out what is hiding in plain sight. They are not invited to the fraternity because they are busy studying mathematical equations, and improving upon them, dissecting financial systems and asking themselves the question “what if we did THIS” and figuring out how to make a lot of money from the craziness infecting the world economy. They are all interesting characters, some with amusing eccentricities (one billionaire takes his guitar to the subway and busks), but the important lessons from these two books is how critical it is to have outliers in the tent. The “group think” that infested the financial world was a function of a bunch of entitled white men (there are no women involved in the mass financial destruction, and only Vikram Pandit at Citibank is a minority player) who rose to the top together, drank from the same cup of wisdom, socialized together, and could not conceive that they could create anything but success from their actions. 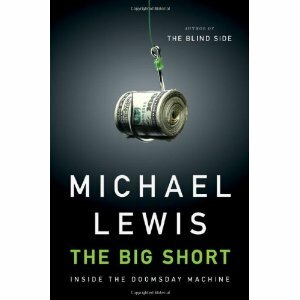 Both The Big Short and The Quants are useful, reader friendly books describing the technical underpinnings of the financial instruments currently in vogue, and the reader will be struck by the number of these geniuses who cut their teeth in Las Vegas at the 21 tables counting cards, or trying to beat gaming systems of some sort (sometimes successfully). Having read these four excellent books in a very short time, it was hard not to have personal moments of panic, and wonder who the hell really IS in charge of the economy. Well, no one is, of course, and we can only hope that the new players are chastened by this huge near miss, and have put their houses in order. Indications are not good though – Wall street bonuses recently announced are back to pre-08 levels, the sturm und drang emanating from politicians on cleaning up Wall Street is becoming a distant memory, and there is still a precarious recovery trying to find it’s legs, particularly in the US. Plus ca change, as they say. I am fully aware that 2009 still has three weeks to run, so posting a “best” list now is jumping the gun. On the other hand, those of us who love books are also quite aware that at this time of year friends often say “what book do you want for the holidays?” And other friends expect us to give them a great book. Perhaps this list will supply an idea or two on both counts. And then there is the best gift of all. You find a book that you have not read, but want to — and it fits for a friend. So you buy two copies, one to read, one to give, and promise a holiday book discussion lunch once the reading is done. The perfect present. Here is KfC’s list of the best 10 books that I have read in 2009, based solely on those that gave me the most pleasure and reward. I hope it both reminds you of a book that you would like to read or one that could be gifted. The list is arranged in alphabetical order by author — there is no way that I am going to try to rank my top 10. 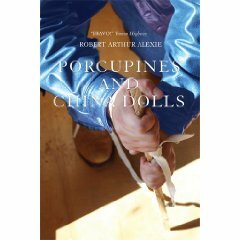 This incredibly impressive book has been around for almost a decade — the original publisher went bankrupt the week the first version appeared and Alexie’s book pretty much disappeared. It is a study of what Canada’s history of residential schools and their abuse produced. Written from both passion and personal experience, it is a most significant achievement. Full review here. I am indebted to the IMPAC jury for introducing me to the work of Jean Echenoz in 2009. This novella — reviewed here — is a perfect gem, with nine cameos that chronicle the French composer’s life and decline. As fiction, it also is a wonderful example of how a novelist can provide sketches of moments — and then leave it to the reader to link them. A short work that rewards not just a second read, but a third and a fourth. 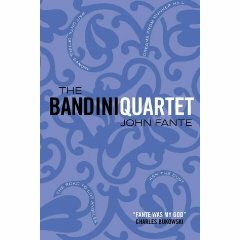 I have read a fair bit of western American fiction, but the four books of the Bandini Quartet (Wait Until Spring, Bandini; The Road to Los Angeles; Ask The Dust and Dreams from Bunker Hill) are something truly special. You need to read all four and you need to read them in order, but it is a worthwhile investment. My review said that this quartet was a bridge between Chandler and Steinbeck — on reflection, that is confirmed. A wonderful reading experience. The first time I read this book (review here) I missed how good it was. I read it a second time before it won the 2009 Giller Prize and discovered what I had missed the first time around. Perhaps the best character study — and that is a fiction category that I love — that I read this year. MacIntyre’s novel is a most deserving Giller winner. 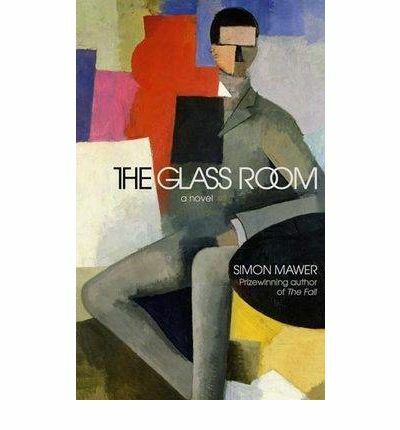 My personal favorite for this year’s Man Booker Prize (review here), the central feature of Mawer’s book is a house designed by Mies van der Rohe just outside Brno in the Czech Republic. Like the house, the novel is a study in modernism — there is a formality and discipline that is not to everyone’s taste. But if you can accept that conceit, it is an impressive piece of work. Also, the best book cover of the year. 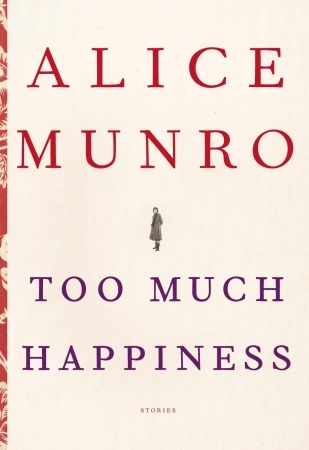 Is this Alice Munro’s last book? Perhaps, but I doubt it. Whatever, it does showcase the talents of the best short story writer that we know today. Some stories are set in Munro country in Ontario, others on the West Coast and the title story is a bit of historical fiction set in Europe. Munro won the Booker International prize this year — this volume is a perfect example of why Cynthia Ozick calls her “our Chekhov”. Full review here. This is a book that will be looming on the horizon soon, since it is finally being made into a movie. 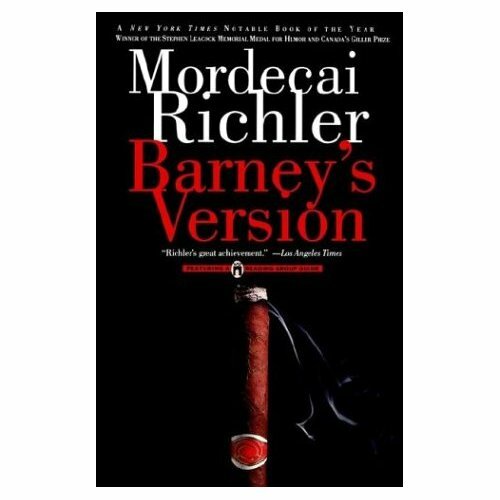 Please, please read it before the screen version appears — it is one of the best satires that has ever been written. I reread it as part of a project to revisit some of the early Giller Prize winners — I appreciated it even more this time around than I did at first reading (review here). I do promise that there will be more revisits of Richler’s work coming up on KfC in 2010. 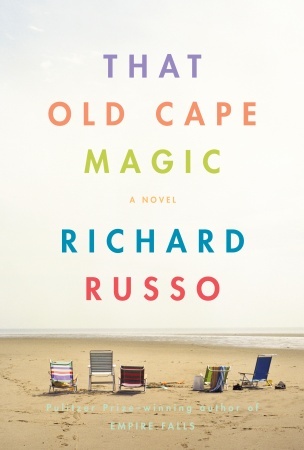 This is probably the most enjoyable read of the year for me — Russo is a personal favorite and his exploration of the academic world (and its foibles) crossed with a Cape Cod atmosphere produced a marvelous volume (review here). This is a very accessible novel and one that I hope will get recognition in the 2010 American book prizes — a very, very good read. Okay, no one calls it the Moses trilogy, but I do (reviews here) — The Lonely Londoners, Moses Ascending and Moses Migrating. The first book has a justifiable reputation (Selvon introduces a dialect that is both accessible to readers and interests critics) but not that many people read all three works — in fact, finding a copy of Moses Migrating is a bit of a challenge. The trilogy is a perceptive study of London from a half century ago that is even more relevant today. A wonderful achievement. This is perhaps the biggest surprise on the list — even to me. I’ve known about Spark for some time but never really respected her and picked up this volume as a relief from heavier reading (review here). What I found was a most perceptive study of the London of the 1960s and a most delightful one at that. The Virago Classics edition that is featured here is a most impressive book — I will be reading more Spark in 2010. She is an author who deserves more attention than she has been getting. So there is the list, chosen totally arbitrarilly from the books that I liked best this past year. Having said that, I’m rather chuffed at the way it turned out. Four of the 10 are older works; six are newer. Four are Canadian, three British, two American, one French. All of which, I would like to think, is a fair reflection of what this blog tries to achieve — an overview of writing in English, both past and present, that doesn’t confine itself to any geographic boundary. Happy holidays. And I hope somewhere above there is an idea about a book that might fit. 2018 Giller Prize Longlist – We’re Back for More! Shadow Giller Jury is back! The Shadow Giller is back! Inside, by Alix Ohlin -- reviewed by Trevor. And by Kimbofo here. Better Living Through Plastic Explosives, by Zsuzsi Gartner. Trevor's review here. The Beggar's Garden, by Michael Christie. Trevor's review here. Solitaria, by Genni Gunn. Trevor's review here. Kimbofo's review here. The Testament of Jessie Lamb, by Jane Rogers.